Rent can very simply be defined as a payment in cash or in-kind which the owner of the land receives from another person in consideration of a grant of a right to use land. When the owner of land is not performing agricultural operations himself but gives his land on contract basis, any amount received from the actual cultivator by the owner of the land shall be agricultural income. Such rent may he in cash or in-kind, i.e., a share in the produce grown by the cultivator. The Privy Council decided in a case [C.i.T. vs. Karnakshya Narian Singh (1948) I.T.R. 395] that interest on arrears of rent payable in respect of agricultural land cannot be agricultural income, because it is neither ‘rent’ nor ‘revenue derived from land’. The word revenue is used in a very broad sense of return, yield or income and not only in a narrow sense of land revenue [C. I. T. v. Kamakshya Narain Singh]. 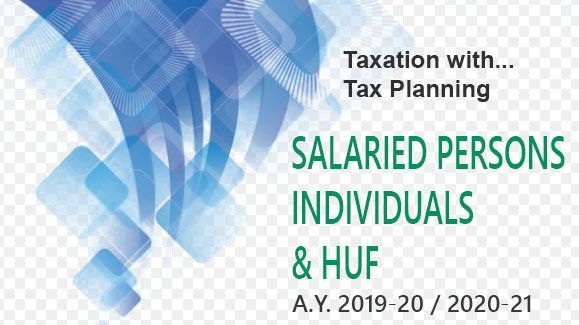 This term embraces income other than rent and that is why mutation fees received from the tenants on their getting occupancy holdings and fees paid by the tenants at the time of renewal of their lease, are revenue derived from land and as such exempted from tax. In the above mentioned case the Privy Council has clearly laid down that revenue is derived from land only if the land is immediate and effective source of the revenue and not the secondary and indirect source. So any income or revenue which is indirectly derived from land cannot be presumed to he the agricultural income. This point is further clarified by the Supreme Court in a case Bacha Guzdar v. C.I.T. that dividend paid by a company to its shareholders out of its agricultural income is not an income derived from land since the immediate and effective source of dividend income to the shareholder is the shareholding in the company and not the land. Income from sale of agricultural land. The Finance Act, 1989 has added an explanation to section 2(IA) as a result of which any revenue derived from land shall not include and shall be deemed never to have included any income arising from the transfer of any land mentioned in section 2(14) (iii) (a) or (b). It has been made applicable retrospectively from 1-4-1970. It simply means that any income from transfer of urban agricultural land will not form part of agricultural income. It will he taxable income under the head “capital Gains. “. 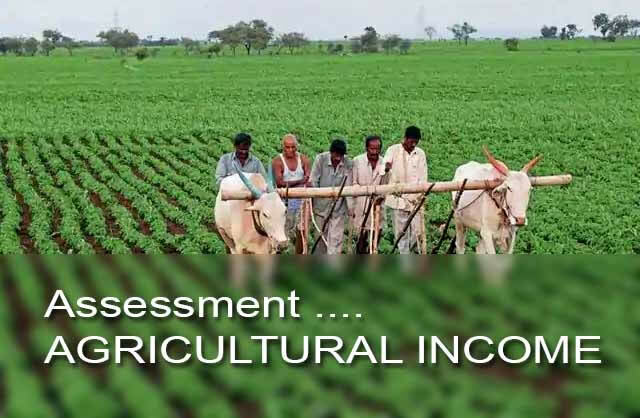 Income derived from land situated in India by applying agricultural operations shall be agricultural income. If all the basic operations like preparation of land for sowing, planting, watering, harvesting etc. 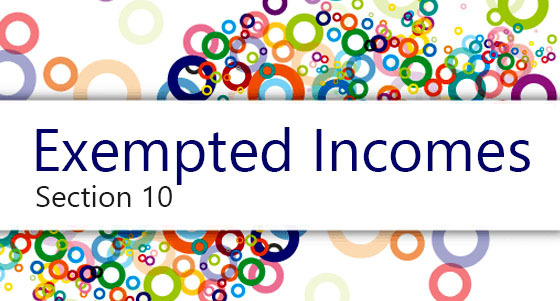 are applied, any income resulting from such operations shall be agricultural income. On the other hand, if grass, trees etc. have grown spontaneously or without the aid of human skill, effort, labour etc., any income resulting from the sale of such grass, trees or lease rent of such land shall not he agricultural income. Agricultural income also includes income from orchards or from horticulture. It is further to he noted that if a particular income is derived from land but without applying agricultural operations, such an income although derived from land cannot become agricultural income and so any income having remote connection with land cannot he called as agricultural income. Income from poultry and dairy farming, fisheries, mining, stone quarries, breeding and rearing of livestock, all these incomes although remotely linked with land but cannot he called agricultural incomes because of the absence of important characteristics of agricultural income, i.e., cultivation of land. Income which is in the nature of by-products of agricultural land such as selling of milk, the pasturing of cattle etc. can safely he included in agricultural income provided the endeavour is agricultural and it is reasonably connected with land used for agricultural purposes [Beohar Singh vs. CIT. 16 I.T.R. 433, 443]. If, in the ordinary course, a process is to he employed by the cultivator himself or the landlord who receives the produce as rent-in-kind, any income derived from such a process shall he agricultural income. Such a process must be employed to render the produce fit for marketing. The process may he manual or mechanical. It should be noted that the produce should not change its original character in spite of the processing unless the produce cannot be sold in that form or condition. The process must he one which is ordinarily employed by the cultivator. The process is employed to render the produce fit to be taken to the market. The produce must retain its original character in spite of process unless the produce is having no market if offered for sale in its original condition. Unginned cotton can be sold in its original form and if any profit is attributable to the ginning operation, such a profit shall not be agricultural income as ginning operation is not a must to render the produce fit to be taken to the market [Sheolal Ramlal v. C.I.T. 4 I.T.C. 375]. Drying and curing of coffee after picking beans, husking of paddy, conversion of latex into sole crepe or smoked sheets. [c.I.T v. Woodlands State Ltd. (1965) 58 I.TR. 612] etc. are otner examples of processes carried on to make the produce marketable. Any income derived by any person by the sale of agricultural produce raised by him or received as rent-in-kind shall also be agricultural income. Sometimes such person puts some extra effort by selling the produce through his own shop, any extra profit raised due to shopping activities shall not he agricultural income. The building from where the income is received, is in the immediate vicinity of the land and is occupied by the owner, or by the cultivator or by the receiver of rent-in-kind. Building is used as a dwelling house or a store house or other out-building. The cultivator or the receiver of the rent-in-kind, by reason of his connection with the land, is in need of the house as a dwelling house or as a house to store the goods required for agricultural operations. The land if assessed to land revenue in India or is subject to a local rate assessed and collected by officers of the Govt. and in case the land is not assessed to land revenue or to local rate, it should not be situated within the urban areas.